Customs officers reject $400k bribe, seizes N7.3bn worth of Tramadol . - NAIRAFAME | Best Entertainment Platform. 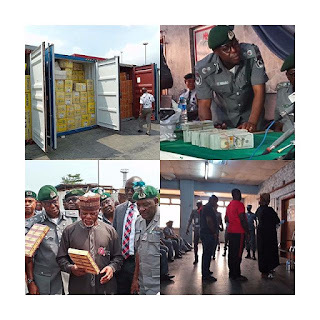 Customs officers reject $400k bribe, seizes N7.3bn worth of Tramadol .